eCommerce has been around for a while now, but it’s still experiencing explosive growth. In 2017, there were $2.3 trillion eCommerce sales. That number is expected to rise to $4.5 trillion by 2021. Ecommerce represents 10 percent of all U.S. retail sales – a number that grows by 15 percent every year. Rapid growth means rapid evolution, so it’s no surprise that eCommerce changes every year. There’s always something new to learn, like techniques to drive traffic, squeeze out more conversions, and turn customers into repeat customers. Here are the biggest trends for eCommerce stores in 2018. Use these ideas to get ahead of the curve and turn your store into a leader. Want to stay informed about the eCommerce industry? Download this list of the best eCommerce resources. AR/ VR tools and features help shoppers visualize products before they buy. With apps like Magnolia Market, shoppers can “place” items in their homes to test them out. Ikea’s app works the same way. This is a devilishly clever way to overcome the touch-and-feel barrier – your shoppers’ need to know what products feel, smell, sound, and even taste like. Why will AR and VR be such a big deal for eCommerce? Because reports show that 40 percent of buyers would be willing to pay more for a product if they could experience it through AR/VR first, 61 percent of shoppers prefer to shop at stores that offer AR/VR than stores that don’t, and 71 percent would be more loyal to brands that incorporate AR/VR features. If you don’t have a big development budget to build your own AR/VR features, you can grab an app development kit to integrate with your website or application. Here’s a big list of options. 87 percent of shoppers say product content is extremely important or very important when making a purchasing decision. 50 percent have returned an item because it didn’t match the product description. Quality product photos are important, but they don’t always give as much information as they could. Even the best ones often fail to overcome the touch-and-feel barrier. Animation is a growing trend to add depth to your product photos. GIFs have become a popular way to show multiple angles of a product, how it fits together, how it moves or you how you use it. Leather goods vendor Bellroy uses GIFs to demonstrate the thickness of its wallets compared to other products. Making your own animations is easier than ever. All you need are your photos and $10 for a month of Photoshop. Learn how here. Brutalism is a web design trend that pushes the boundaries of simplicity and ease-of-use. It’s a refined throwback to the early days of the web when pages were stark and open. We’re seeing a lot of new websites influenced by brutalism and eCommerce stores aren’t an exception. Brutalist designs are big, bold, and simple. They abandon frills, accents, and embellishments in favor of a strong focus on the product. When you view a brutalist eCommerce store, you know exactly what you’re supposed to look at. Brutalist stores don’t necessarily ignore trendy eCommerce technologies, but they limit what they use to only what’s necessary to display and sell the product. You won’t see homepage sliders/carousels, parallax scrolling, or fancy widgets, but you’ll see big photos and maybe GIFs. Brands are starting to recognize that their customers aren’t all white, 20 years old, size zero, and 5’11”. People don’t buy products. They buy better versions of themselves. So they want to see themselves in your product photos and videos. As we become a more diverse, accepting culture, brands have begun to showcase diversity in ways we’ve never seen before. 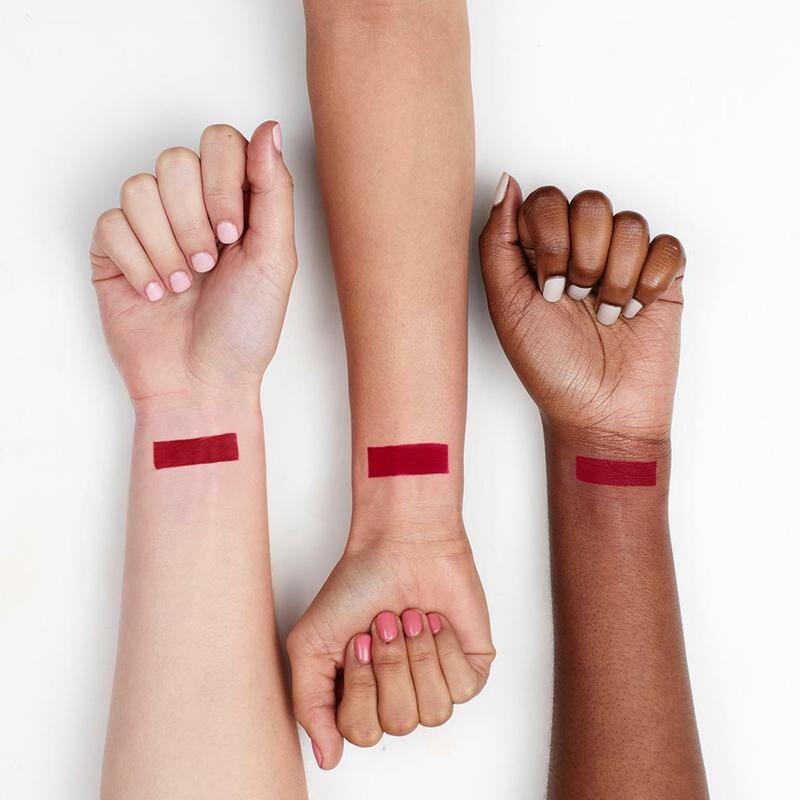 ColourPop, for example, shows its beauty and make-up products on models with different skin tones. Size acceptance has become popular, too. Where we once only saw rail-thin models, we’re now seeing people of all sizes. Plus-size photography is a growing specialty. Amazon pioneered one-click checkout, but its patent recently expired. Now any eCommerce store and payment gateway can follow Amazon’s lead in 2018. With the help of payment tools like Shopify Pay, Android Pay, and Apple Pay, eCommerce stores can offer one-click checkout right now. We also expect to see plenty of eCommerce stores build one-click purchasing solutions in-house. One-click purchasing is simple: When a customer clicks the “Buy now” button, they’re taken to a confirmation page. There are no forms to complete because the store saves the shopper’s payment and shipping information. People like one-click checkout because it makes their online experience simpler, faster and more convenient than traditional checkout pages. Brands like one-click checkout because it improves conversion rates and fights shopping cart abandonment. By saving customer data, brands can collect data on their behavior and more easily communicate with their customers. You can expect the big eCommerce platforms to roll out their own default one-click checkout features soon. It’s an opportunity too big to miss. In the meantime, you can implement one-click checkout with special plugins and apps. For example, Shopify has dozens. A study by McKinsey Research and Harvard Business Review found that 73 percent of shoppers use multiple channels during their shopping journey. They might compare prices on an app, download a coupon from the web, touch the item in a store, and/or click a retargeting ad on Facebook. Maintaining a presence wherever your buyers expect you to be is omni-channel selling. 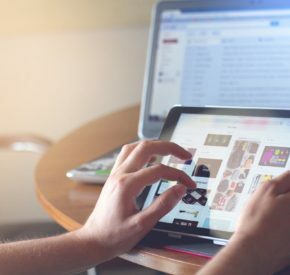 Basically, omni-channel selling is when you create touch points across multiple channels that are all linked together – like your online store, physical store, social media pages, retail platform (like Amazon), or anywhere else. A report by IDC Retail Insights found that retailers who use omni-channel selling see a 15-35 percent increase in transaction size, a 5-10 percent increase in loyal customers’ profitability, and 30 percent higher lifetime value than retailers who stick to a single channel. We expect this trend to continue as retailers take further steps to optimize the entire shopping experience. In particular, we expect social shopping to become more common. Visual platforms, like Pinterest and Instagram, are building functionality to let you select a particular part of an image and buy right through a modal window – without ever leaving the social platform. Voice search tools, like Alexa, Google Assistant, and Apple’s Siri, have gained popularity quickly. Google claims more than 20 percent of searches come through voice tools. According to the Walker Sands 2017 Future of Retail Study, 19 percent of consumers have made a purchase through a voice search device and 33 percent plan to in the next year. 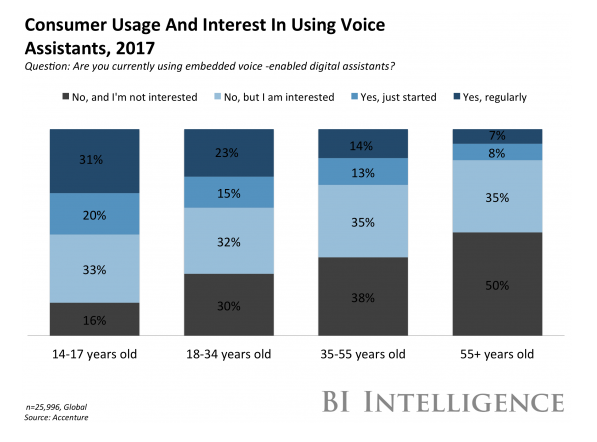 This trend will grow because according to BI Intelligence, a majority of younger people already use voice assistant or plan to in the future. Furthermore, people who use voice search for shopping tend to buy more, spending an average of $300 more per year than people who don’t use voice search. In order for your customers to purchase your products through Alexa, must list your products on Amazon and obtain the Amazon Choice badge. While you can’t manually submit your product to the program (Amazon decides who gets the badge), you can optimize your listings to make your products available. Presently there’s no easy way to sell your products through Google voice search. They’re only working with limited partners at the moment (the big retailers). But we expect to see an open program sometime this year. Don’t get left behind! Keep up with the latest eCommerce news and information. Download this free list of the best resources. Whatever strategy, tactic, or tool you use in 2018, make sure you’re constantly testing and optimizing your website and shopping experience. Don’t be satisfied with poor results. No one opens your emails? Test your subject lines. Product pages don’t convert well? Add better photos, write new copy or change the layout. Too many abandoned carts? Recover those sales. Make 2018 a big year for your store by running good experiments and trying new things! Use this list of the best ecommerce resources to keep yourself informed about the ecommerce industry. Subscribe to receive this free list and our newsletter.